Let me start by saying actor-John Dumelo is a douche bag and I owe him no apology for this. In fact, the quintessential essence of freedom of expression is for everyone, including John Dumelo and I to be able to express our opinions without apology, no matter how offensive and diabolical our thoughts may be. He recently expressed his own, by saying, New Patriotic Party’s Nana Akufo Addo will not win the next election, despite the unending hardships Ghanaians like myself are going through. And in a democracy, he is free to hold this view despite it killing the refreshed hope some of us have that we would be able to soon escape this Mahama’s apocalyptic governance. It’s on this same measure that I have just assessed him as a douche bag. Reasonably, there’s no correlation between freedom of expression and integrity but for the sake of humanity and sincere discourse, the two ought to play in the same room—and this is what political wazzocks like John Dumelo do not consider because of their pockets. If John Dumelo had not been in the public eye for a very long time, I would have ruled him out as mentally unstable. 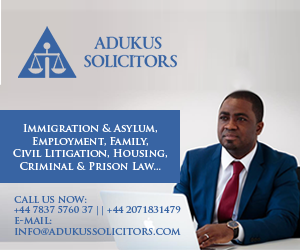 For the simple fact that it beats my imagination as to how any rational Ghanaian having taking into considering the current condition of Ghanaians would wish or even anticipate that we should dwell in this hardship for another 4 years under the gross incompetent government of H.E. John Dramani Mahama. But when it comes to those who think solely about their pockets and not the general welfare of the citizenry body, the broad-spectrum of chaos does not matter as long as their pockets are full and they have a certain level of individual comfort. This is who John Dumelo is; and that’s why I am not shocked that it has today emerged he approached Nana Akufo Addo last year to campaign for him—and slammed John Mahama in the presence of the NPP’s flagbearer to win a political spot on the pay roll of the NPP. Because it did not work out for him, the alleged fraudster who is said to have defrauded and continue to swindle money out of innocent young women desperate for love and relationship back-tracked to the NDC, and has become a social media stooge of the incumbent government. Today, the same John Dumelo says, the same president who he indicted as having supervised a corrupt and incompetent administration will win the next election. 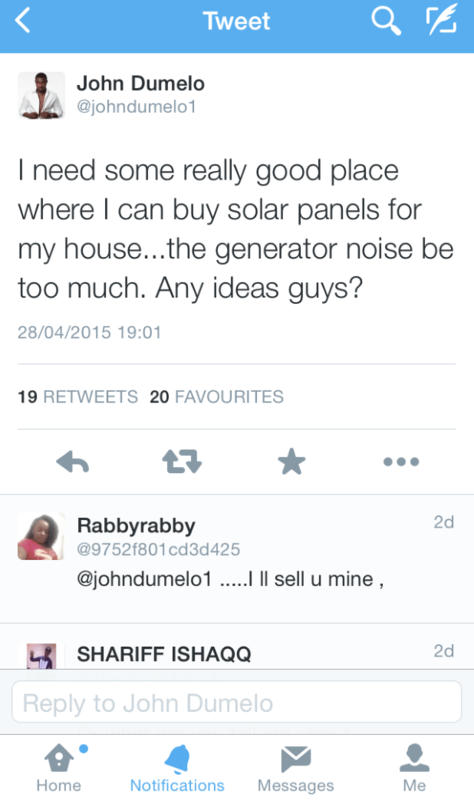 John Dumelo’s tweet on the back of Ghana’s power problem under John Mahama’s government, last year. Perhaps, at this stage you are also asking the most reasonable question; what happened? His bank accounts have probably seen an increase in funds from a certain quarters—which mean he has succeeded in selling the last bit of the remains of his integrity and conscience. In a wider conversation, John Dumelo has no credibility and as such whatever he says should not even matter—just search through the myriad of archives of his alleged swindles and inconsistent political statements and you would clearly pick up where he sits on the important rod of credibility. It’s only a vile individual who would wish for his sole comfort to the detriment of his people—and ask that we find glory in incompetence, corruption and the endless hardships which have become the seal of the Mahama led-NDC administration. When any person reduces himself to an echo chamber of NDC mindless refrains and propaganda nonsense, you have to unreservedly conclude the person is a crook and has no sense. To Akosua- I am not against you putting Mr Dumelo in his place for suc an act. I disagreed with your comment about President Mahama leadership. Ghana will always going to be like this. to be honest these hardship and corruption you are talking about lingered in most African countries not just Ghana. I dont think Nana Addo can solve ghana’s problem. I mean ghana was still goiing through hardship under 8 years of Former leader John Kufour. Water, electricity and most of all Arm robberies in the country around 2004. I can see Akosua campaigning for her Nana Akuffo Addo here,and as usual,whenever anything is negatively said about him,like the usual NPP posture,an insult follows.Those insults don’t win votes.Nana isn’t the saviour for Ghana Akosua.U can also insult me.Trullly,Nana Addo isn’t a presidential material.Let it stay in ur head.